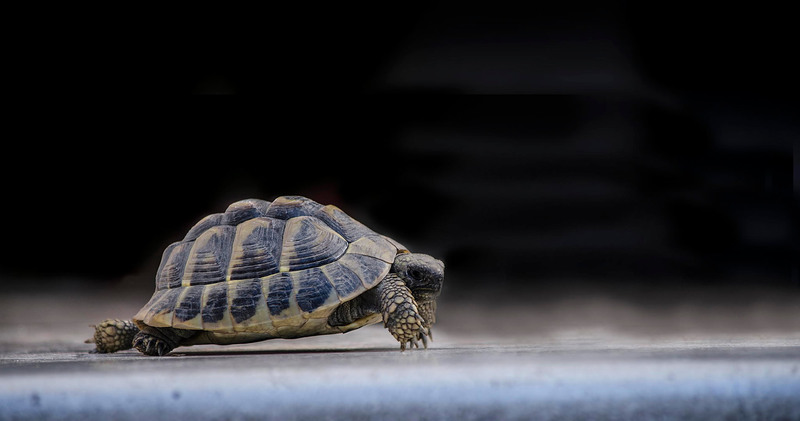 It’s all well and good proclaiming that slow and steady wins the race, but in The Tortoise and the Hare, the winner wasn’t going to receive a cash prize which would help pay off bills, put food on the table and buy Christmas gifts for all their loved ones. If they were, I’m pretty sure the Hare wouldn’t have stopped for a nap. The point is that fairy tales are great for teaching people some of life’s key virtues, but they can’t always be applied to everything. 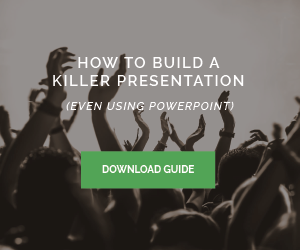 Sometimes, you need to make sure you’re going to get to the finish line first, and that’s truer for nothing more than it is the sales profession. Here are some top tips on how to close sales faster than ever before. Trying to sell to a perfect fit will speed things up 10 fold, and far too many salespeople waste their time kidding themselves that they can make someone buy something they probably don’t need. In fact, the process of your whole sales pipeline will speed up immensely if you stop wasting your time with people who aren’t really fits and start dedicating that time to those who are. That said, finding the right prospect in the first place is easier said than done. There are thousands of great tips out there for finding the right prospects, many of which revolve around using one social media platform in particular; LinkedIn is the undefeated heavy weight champion of finding, acquiring and growing more-than-viable sales leads. If you need some help learning some little-known social sales tips and a solid LinkedIn strategy, please click here. But if you’re more of a phone-wielding warrior than a social sales ninja, at least do the basics right from the word “Hello”. Ditching your script for a short while to ask key questions that determine whether or not you’ll be wasting each other’s time is one of the best ways to qualify how good a fit someone is. Final tip: have a think about all of the swiftest sales you’ve ever made, and ask yourself, “what was the same across all of these deals?” Perhaps each prospect was a certain type of person; maybe they each had a certain type of problem that needed to be solved. If you can find a pattern, then you’ll be able to find sales that close quicker. Before you can close a sale, you have to earn the right to the sale itself, or at least the right to ask for the sale. It might well be that you couldn’t have created a more perfect fit if you were God, but if you can’t earn the right to the sale, you can’t make the sale. To earn the right you have to follow up on questions as efficiently as possible, frame your product in a way that solves your prospect’s problems (see below) and, above all, make them feel important. If you’re sending out huge mail campaigns to cold prospects, they’ll know that they’re just a number on your list. But if you take the time to write them a more personal email, for example, you’ll earn their trust and, in time, you’ll earn their wallet too. If you don’t do any of this and ask for the sale too soon, the sales process which you’d imagined going merrily down the stream will either slow to a halt as the prospect weighs up their options, or simply sink altogether. FACT: All salespeople also double up as industry experts. As an expert, you’ll know exactly what sort of problems companies are facing. This knowledge, when used correctly, is half the battle in sales because you already know exactly what the person on the end of the phone is struggling with. This will tell you exactly how to frame your product/service as a solution to these problems, and we all know that people don’t buy products; they buy solutions. Having a slightly different script for different types of prospect depending on their problems is therefore absolutely, 100%, by a mile one of the best ways to speed up your sales process. Now I know that the title of this section might sound contradictory to the point I made at the start, and it even sounds contradictory to the article’s title, but if you want to close a deal at all, you shouldn’t be trying to hurry it along. Not too much, anyway. It’s obviously tough when you’re getting towards the end of the month and you still need to get a couple of sales over the line to hit your target, win the monthly office prize and, if nothing else, make sure so that come payday, you can wake up in the morning feeling like P Diddy. Nobody’s saying that you shouldn’t be going all guns blazing to make sure that your targets get hit, but you’ve got to make sure you don’t go so all guns blazing that you accidentally shoot a deal and kill it completely. Amidst the stress and excitement of being a sales pro, it’s easy to forget that not everyone has the same time restraints as you. What you’ve got to remember is that while you’ve got one deadline and target to aim at, your prospect has another, and if you push them to the point where you’re giving them a choice between now or never, they’ll more than likely choose never. Of course it isn’t entirely true that slow and steady wins the race, but it is entirely true that the prospect’s time is more valuable to them than yours will ever be. If you want to take a shortcut to a record-breaking deal, that’s cool, but be careful not to run it over in the process. Plain and simple, many salespeople talk themselves out of more deals than they talk themselves into. All you’ve got to do is ask the right questions, actually listen to the answers, and, if the prospect has a problem that you can solve, they’ll buy. By listening more than you talk, you’ll learn more than you tell, and every single thing a prospect says is a clue as to who they are, what they need and how you can help (if at all). Again, LinkedIn is great for finding more clues as to who a person is and what their company is like. If you want to find out how to move in the shadows online like a true sales ninja, click here.